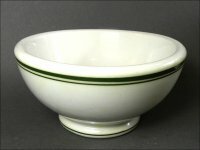 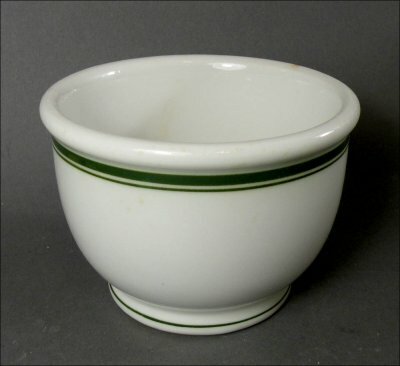 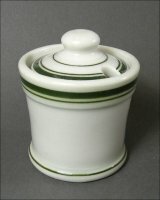 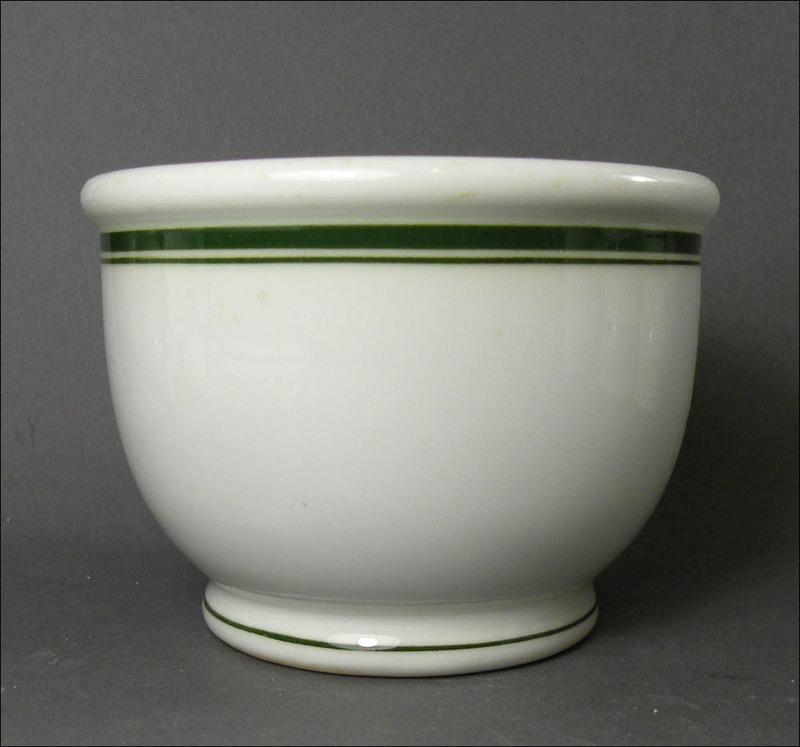 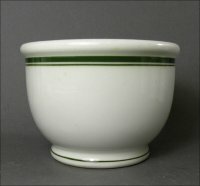 This heavy and handsome sugar bowl was offered both with and without lids. This one is the open type, without a lid. 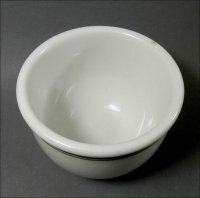 It is 4 1/4 inches wide by 3 inches high. It is in excellent condition with a shiny glaze and light-to-medium use marks. 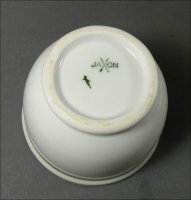 There is a brown discolorated spot on the rim, shown in photos.